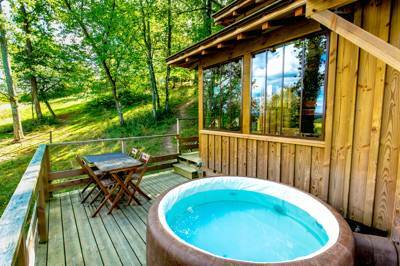 This elevated cabin with a hot tub on the veranda offers high-end glamping on a family-friendly site in the south-west of France. This well-crafted cabin is one of the original accommodation options at the Domaine d’Escapa which invites you to take a beautiful journey inside bohemian life. Virginie, Lilian and their tribe are your hosts for the holidays, in a pleasant “family spirit”. Horses, donkeys, ponies, as well as the lake and the forest park allow you to rest and recharge your batteries into the wild. Our classy cabin is heated and 28m². It is made by Best Craftsmen of France, and has six bedrooms: one double bed, one bunk bed, one couch bed and one bed under the roof for anyone aged 15 plus, accessed by a step ladder. All the beds are made before your arrival and towels are included. 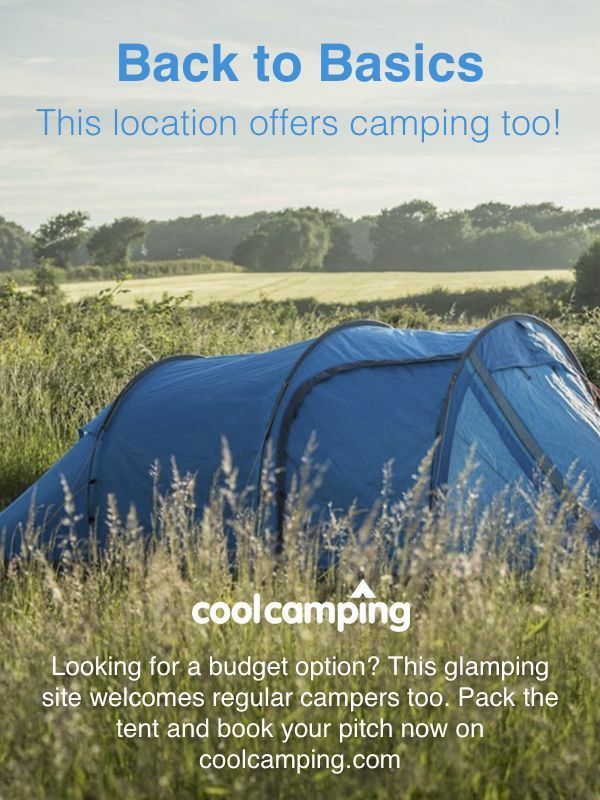 But please make sure you bring a sleeping bag for the bed under the roof. There is a fully-equipped kitchen with crockery, sponge, Senseo coffee maker, dishwashing liquid and cloth, toilet, shower, basin. On the 14 square-meter outdoor terrace you have your very own heated spa (34°C) (ou: 93°F) with integrated phototherapy. The views from here are fantastic and you can sit out and relax listening to the birds sing. We have various activities available on site: heated swimming and paddling pool, outside spa, sauna, fishing; as well as in the surroundings: mountain bike, hiking on The Way of Saint James, jogging routes, horse-riding.